Line Dannemann is twenty eight years old and lives in Copenhagen with her boyfriend and their two kids. It is a challenge for many people living in cities to stay connected with nature and get the benefits of it. In the past decade, the benefits of connecting to nature have been well documented in numerous scientific research studies and publications. Collectively, this body of research shows that children’s social, psychological, academic and physical health is positively impacted when they have daily contact with nature. I asked Line about her thoughts around how we can help our children be connected with nature while living in cities, what advice she would give other parents, and what her daughter believes nature would tell us if it could speak. Why is it important for you to connect your children with nature? "My partner and I were both raised in an environment where most days were spend outside. This has obviously affected our love for the outdoor living and for nature. Unfortunately, we can’t offer our children the same environment at the moment, as we live and work in the city. When we find the time to go out in nature we feel that we connect with our children on a different level. Not connecting by sitting on the couch watching a movie, cuddling – witch also can be nice. But we connect over the simple things like lying on a pillow of moss inhaling the magical smell of the forest or over a certain shape of a stone on the beach." 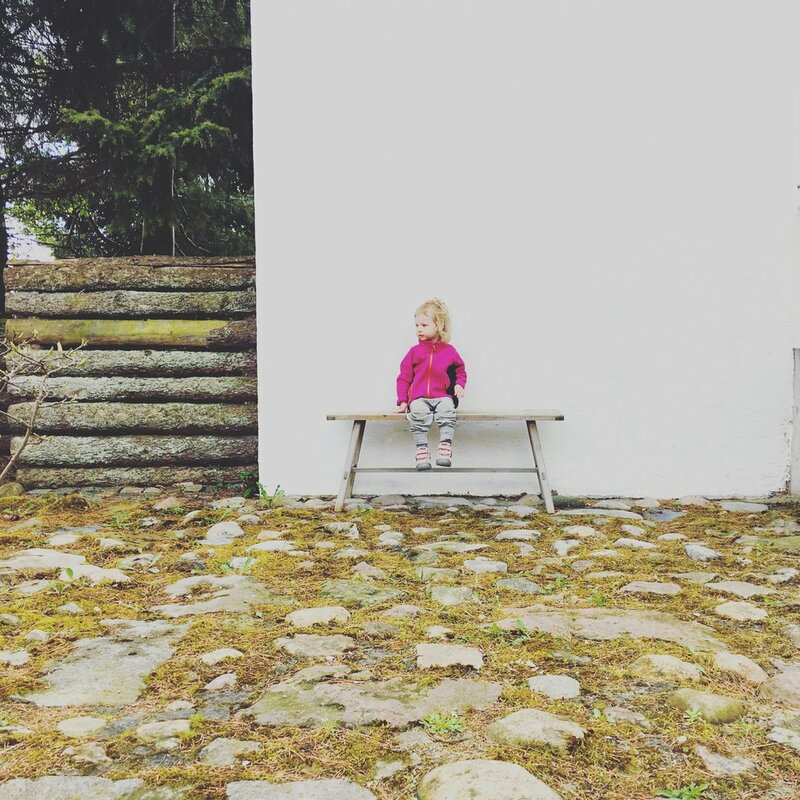 "One of the most important things we have observed when we are away from the city and stay in the countryside is how our children get much more creative." For every day we spent outside their creativity unfolds magnificently. Their physical activity and motor control also get challenged which is so important for their health and development. 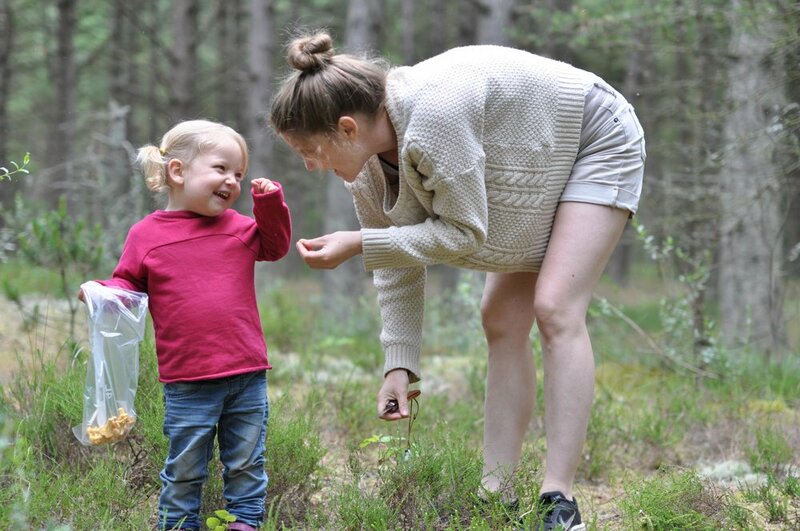 As we both are educated as physiotherapists we know for a fact that so many children today have undeveloped motor skills, that is also why we feel so strongly about getting outside." How do you connect your children with nature in the city? “To be honest, I have to admit that it is quite difficult. Me and my boyfriend’s big dream is to watch our small girls grow up in nature, go on adventures together, and live the simple life. We are not able to do that at the moment. Instead, we go on small adventures almost every weekend, such as a trip to the forest or the countryside. What do your children like the most by being out in nature? How did your child answer; What do you think nature would tell us if it could speak? What is the biggest experience your children have had in nature? What advice would you give parents that live in a city and want to connect their children more with nature? "Try to plant something together. Watch the sprouts grow. It does not require a balcony; just a window with light. It’s a really nice thing to do together and opens up for many good talks"
What would you like your children to learn about nature? "About how we can take better care of it. It may be hard to teach a three years old (and impossible to teach one who’s nine months), but I think the talk is so important to our future."